Bamboo plants are used widely in Melbourne as screening plants as well as ornamental plants in the garden border. Many bamboo varieties are cold climate and grow well in the cooler climate of Victoria. From our specialists in bamboo sales for Melbourne you can expert advice on the right type of bamboo for your landscaping requirements. Used as a screening plant as well as an ornamental feature in many Japanese style gardens it is important to look for the clumping or ‘non – invasive’ types. Any good nursery will consult about the estimated final height and the nature of the root system before recommending a bamboo variety for the Melbourne soil and climate. For may years bamboo has been grown successfully in the Melbourne Botanical Gardens, some excellent specimens can be seen in the South China collection. Growing bamboo in large pots or containers can provide an added feature. Clumping, Cold Climate bamboos are the most popular in Melbourne, an excellent choice for a Japanese or Balinese style garden, or for use as a screening plant in the garden or on a terrace. Many bamboo suppliers also supply a range of bamboo poles or stalks. Bambusa textiles var. gracilus also known as ‘Slender weavers Bamboo’. Dendrocalamus minor var. amoenus or ‘Ghost Bamboo’ is another. The popular Blue Bamboo ‘ Bambusa chungii and the attractive Himalayan weeping bamboo which is Drepanostachym falactum along with Alphonse Karr Bamboo and Bambusa Oldhamii are two more to consider. With so many varieties of bamboo used in Melbourne for landscaping, ornamental plantings in retail and commercial developments, screening plantings and as features in Japanese style gardens, we look at varieties for sale for all situations. 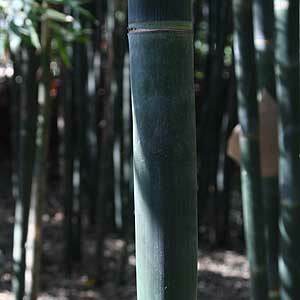 Bamboo is a fascinating plant, used for landscaping, as a building material and even to make musical instruments. From dwarf varieties and screening plants, to giant ornamental varieties and of course those magical weeping varieties that create a sense of stillness and gently move in the wind. It is essential to consider climate when selecting bamboo, some are suited to cold climates and others will struggle. Black bamboo is the classic example, a few different types are available, and some will struggle in cooler climates such as Melbourne, other bamboo types will thrive in cool climates. It is sometimes disappointing when supplier sell plants that will struggle to survive in the Melbourne’s cold wet winter, so ask carefully about location, soil type and aspect before purchasing. Most gardens are suited to some form of bamboo, carefully selected and correctly planted bamboo can be a wonderful addition to many landscape design projects. You can get bamboo in a range of colors including red. The best red bamboo we have seen is Fargesia Jiuzhaigou (red caned bamboo) well suited to cooler climates. Himalayacalamus asper is another red bamboo and Himalayacalamus falconeri ‘Damarapa’ is a red and green striped bamboo. So we also have blacks, blues and greens and different shades in all of these as well. Many bamboos will emerge one color and change on maturity, so what you see in a new shoot is not necessarily what you will get in a mature plant. Clumping, Hedging and Ornamental Non Invasive Bamboo. Supplying Pakenham, Sale, Traralgon, Orbost, Gippsland and Eastern Victoria.